OrgView was developed by Far Data Solutions, a business information consultancy which works with businesses to improve the delivery of information to decision makers. Having worked with many organisations of different size and complexity, it was clear that many businesses spend considerable amounts of time and resources searching for and collating data, particularly the vast amount of information required about their people. And so, OrgView was born. OrgView is a proud Australian business combining the talents of its team of business leaders and software engineers, working closely with its clients to ensure that solutions are meaningful and truly make a difference. We’re part of your team. We make your job easier. Farook Razvi is one of the co-founders and Directors of Far Data Solutions and OrgView. 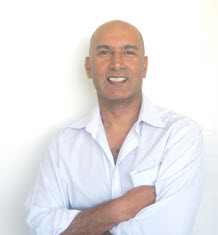 Farook has spent more than 30 years working with both large and small organisations in the information technology area with companies in varied industries – Resources, Mining Services, Shipping, Food Manufacturing and Car Manufacturing. He has extensive experience in System Development & Design, Business Reporting, Project Management, Risk Management and Business Analysis. He has worked with most business areas, in particular Production, Processing, Maintenance, Supply and HR. Outside of work, Farook is actively involved with JDRF Australia. JDRF is the worldwide leader in funding research to cure, treat, and prevent type 1 diabetes (T1D) and Farook has been a member of the WA State Leadership Group and a volunteer on JDRF’s Peer Support Program, a network that connects people who have been affected by type 1 diabetes. Farook is also on the Board of Kissabilities Inc., a charity whose mission is to promote awareness and create inclusion for people of different abilities through school based programs, community projects and organisational partnerships. 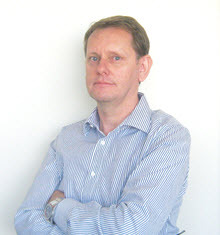 John Thatcher is a co-founder and Director of Far Data Solutions and OrgView. Initially starting his work career in England in accounting, John moved to Australia and completed a Bachelor of Business degree at Edith Cowan University which is where his career in Information Technology started. Since then, John has extensive IT experience working as a consultant in the areas of Systems Development & Design, Project Management, Business Analysis and Business Reporting. During the past 25 years, he has been fortunate to work with some great organisations which include Argyle Diamonds, Alcoa, Telstra, Alacer Gold and Barrick Gold. John’s exposure to business operations is extensive, working with Finance, Supply, Mining, Maintenance, Processing, HSE and HR.John has been a Director and Principle Consultant for 15 years with Far Data Solutions. In conjunction with Farook, he has been responsible for running the company, managing a team of analyst and developers, managing the development of systems from concept to production.